Bill started his flooring career as an apprentice at Heritage Carpet in North Canton for 12 years. 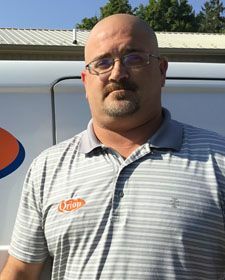 He changed careers and became a Crew Chief for our sister company, Servpro of West Akron, for the past 5 years. He decided to join the Orion crew to oversee all flooring operations. He was born in NE Ohio, but moved throughout the United States and Europe as a child due to his father being in the Army. Bill came back to the Canton area where he lives with his wife and three teenage children. He enjoys fishing, hunting and working out.